Noone saves us but ourselves. Shijukutty, a Malayali fisherman, leaves his tiny hamlet of abject poverty in the coastal village of Vizhinjam on the outskirts of Thiruvananthapuram, the capital city of Kerala, that picturesque vignette of searing beauty on the southwestern coast of India.Shiju, like millions of other Malayalis, seeks his destiny in Dubai, that gleaming global hub of fortune on the southeast coast of the Persian Gulf. 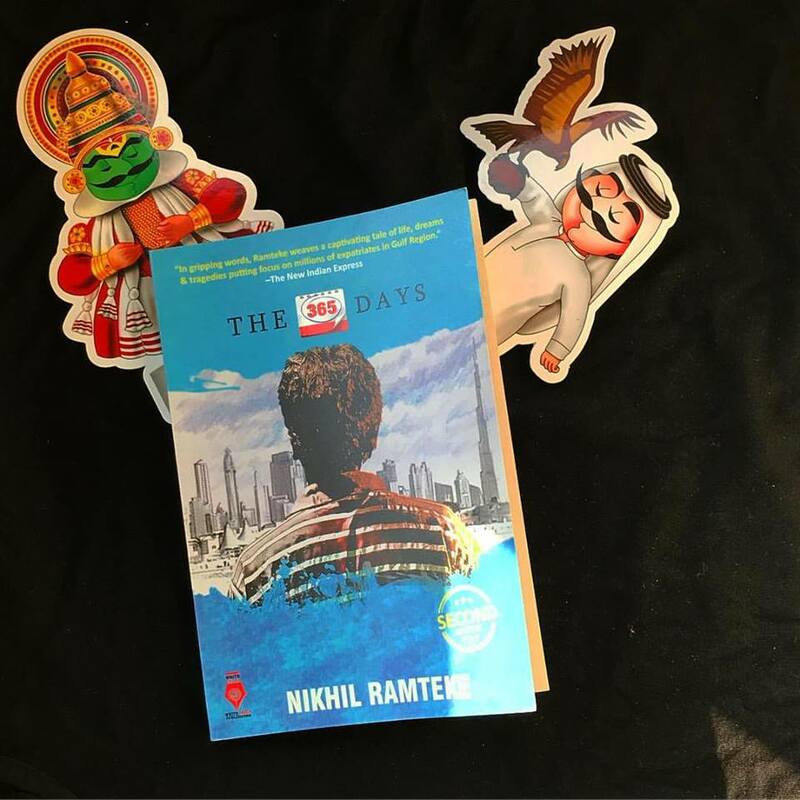 What unfolds is a stirring story of distilled hardship, exploitation, identity, and friendship, and the heartbreaking choices Shiju is often forced to make.So what he sees is not what he experiences when he lands in a world of glimmering towers, fast-paced life, and unabashed opulence. For what he was not prepared for was the dark underbelly of Dubai beyond the shimmering mirage.Shiju’s life is no more the same. But he holds his ground, drawing on ancient instincts of his seafaring ancestry. As things settle down around him, he is inexorably pulled into the canyon of recession…Will Shiju be able to hold on to his dreams? Will he able to pull out himself from the whirlpool? Will he survive against all odds? Will he redeem himself? The 365 Days weaves a captivating tale about the countless Indians and other South-East Asian migrant laborers, who, in seeking to forge their destinies on that gleaming promontory of dreams, end up colliding with forces beyond their reckoning.Nikhil Ramteke unfolds an extraordinary saga about Indian expatriates, their struggles, their alienation, and their dreams. The 365 Days is more than a story of a year in Shijukutty’s life. The story beautifully tells about the conditions of labourers at Dubai. How people from small villages are frauded by agencies promising them a good job at abroad with a good pay but at the end, they receive less with bad accommodation facilities. I was able to connect to the story instantly. The author has beautifully described every situation very well. There’s a crispness in his writing. The urge that Shaiju had for earning good money to give his family a better life and how he was frauded by agencies, his adaptable nature in every situation, how he embraced sea, his work of fishing as God. his family moments and much more. The plot is really interesting and makes the reader curious to know what will happen next. The characters build by the author is interesting. The story is told from the single point of view, i.e Shaiju. Use of sketches gives a view to the story. They are beautiful. How workers are exploited and paid less for their hard work. Use of simple language makes the story more interesting. This book is all about knowing the reality of a life of labourers, a book one should not miss! When it’s Decor- It has to be Playing with Paper!